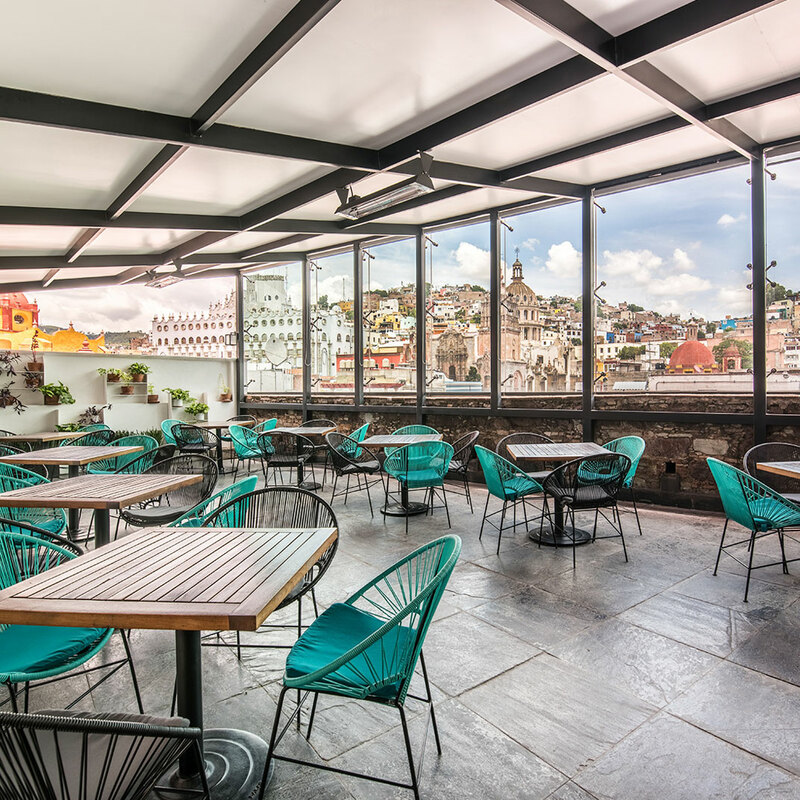 Guanajuato is a labyrinth of underground passageways, cobbled alleys, and colonial architecture nestled in one of Mexico’s most picturesque valleys. Functioning as a silver-mining hotbed, a Jesuit college town, and a UNESCO world heritage site, Guanajuato’s diverse historical résumé gives it a lost-in-time feel. 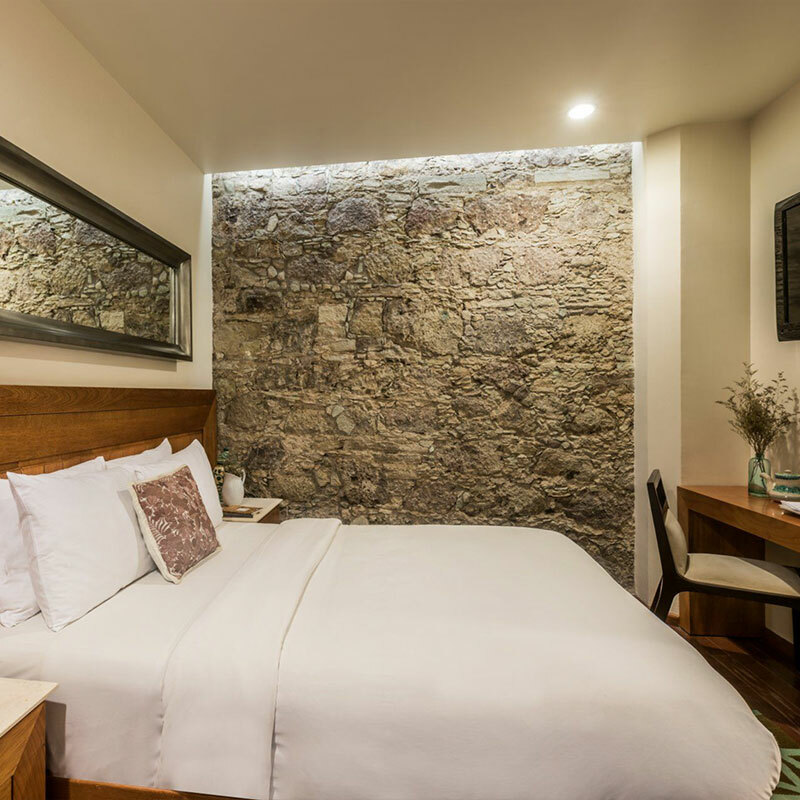 Cars are useless when traversing the city’s narrow, winding thoroughfares, and Edelmira Hotel provides a stylish home base from which to launch delightfully meandering, self-guided walking tours. A glittering ultra-modern hotel would look absurdly out of place among such well-preserved 19th-century architecture, but that’s not to say that proper amenities are scarce. As a traditional inn transformed into a contemporary boutique, the Edelmira’s 27 well-appointed rooms don’t skimp on creature comforts like flatscreens and wi-fi. 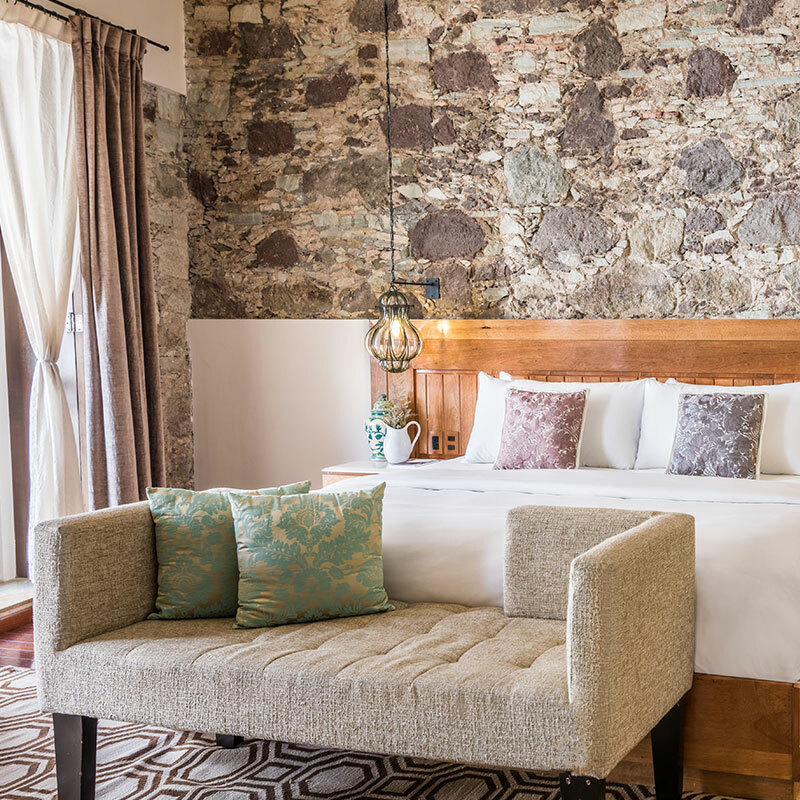 Stone walls and archways keep the spirit of the original structure alive (not to mention artfully integrated), providing an earthy framework for décor that’s both understated and chic. 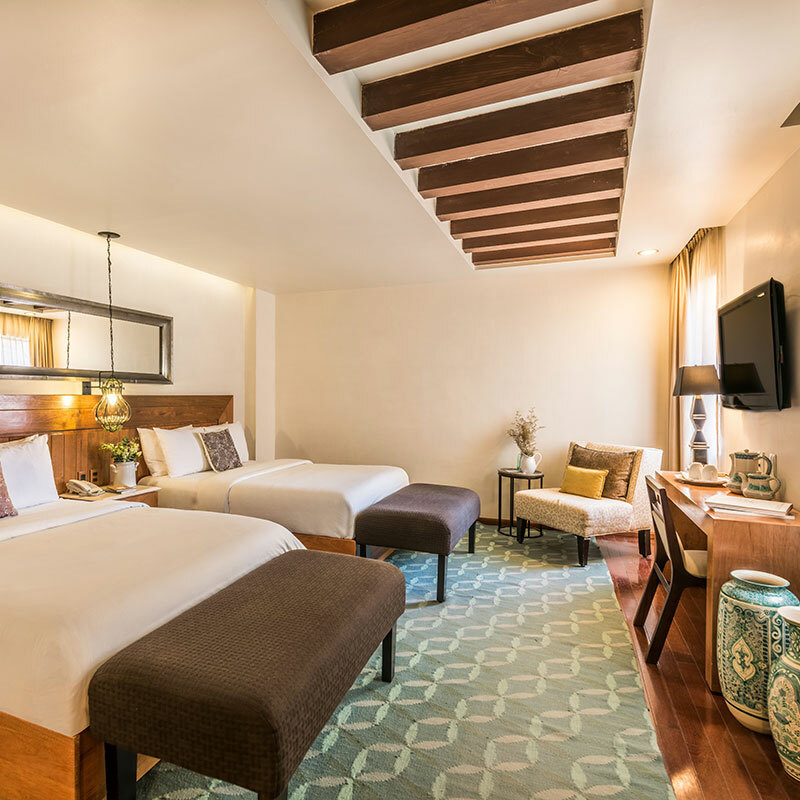 The color palette favors turquoise, which is more charming than it perhaps sounds, while the king beds are surrounded by plenty of exposed wood and patterned throws. The living spaces aren’t what you’d call expansive (the building is two centuries old, after all), but public areas — namely the pool, courtyard, restaurant, and day spa — offer lovingly designed mini-escapes, and the view from the terrace is the antidote to any hemmed-in feelings. Take a long look at the soaring architecture, the pastel houses cascading down the mountains, and you’ll understand why Guanajuato native Diego Rivera created such massive paintings — a view like this begs for a mural. 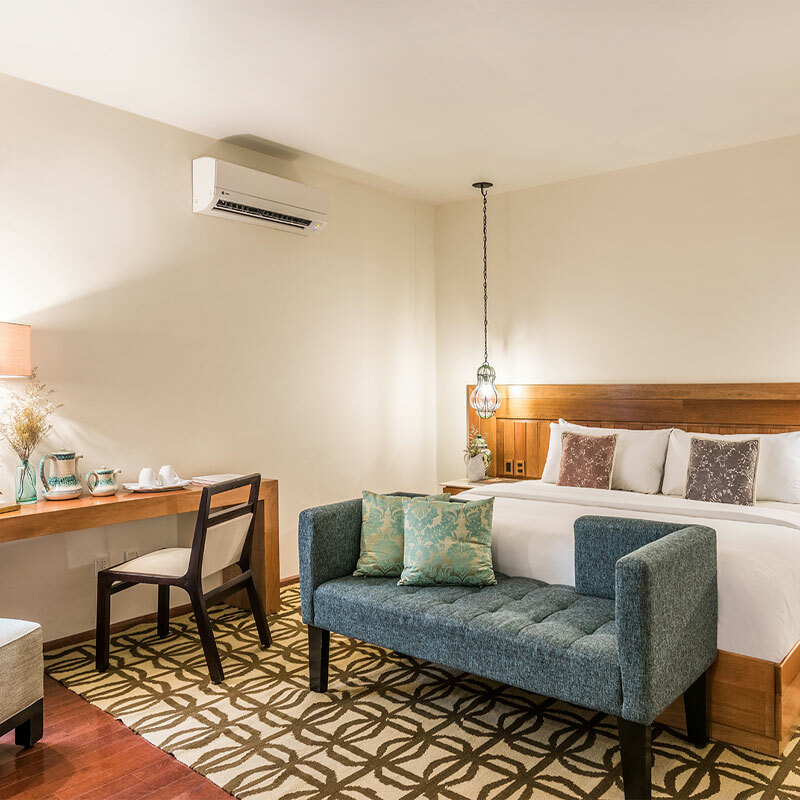 Hotel Edelmira is conveniently located 30 minutes from the Del Bajío International Airport. Please contact CustomerService@TabletHotels.com for assistance with airport transfers. 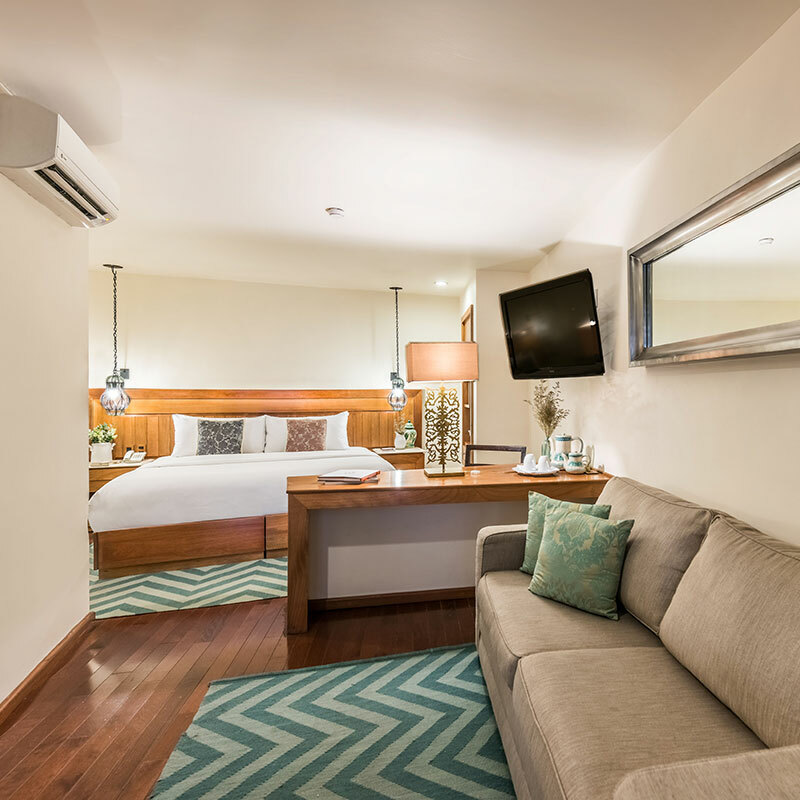 A deposit equal to 1 night's stay is due at the time of booking. The hotel has the following Compulsory Dinner charge: -Dec 24 - Christmas Dinner US$95 + 15% + service charge, per person for guests staying in the hotel on these dates and will be charged directly by the hotel upon check-out.